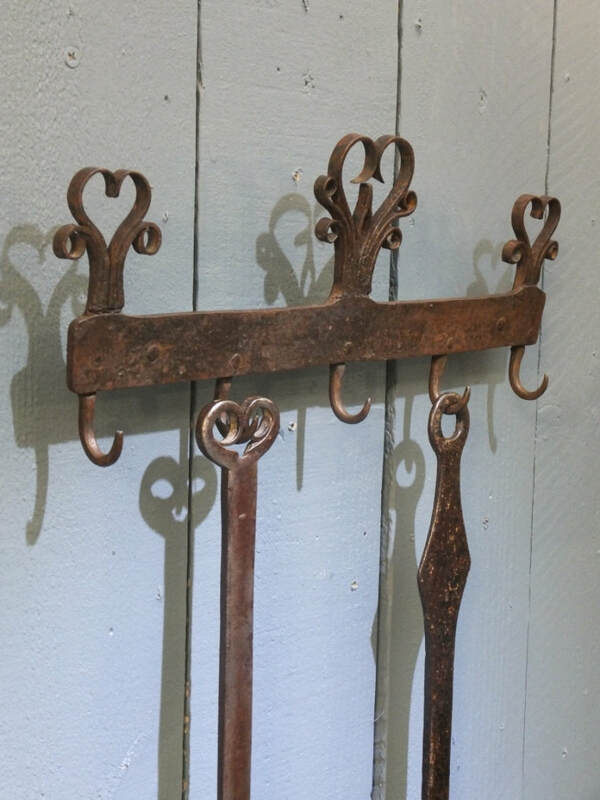 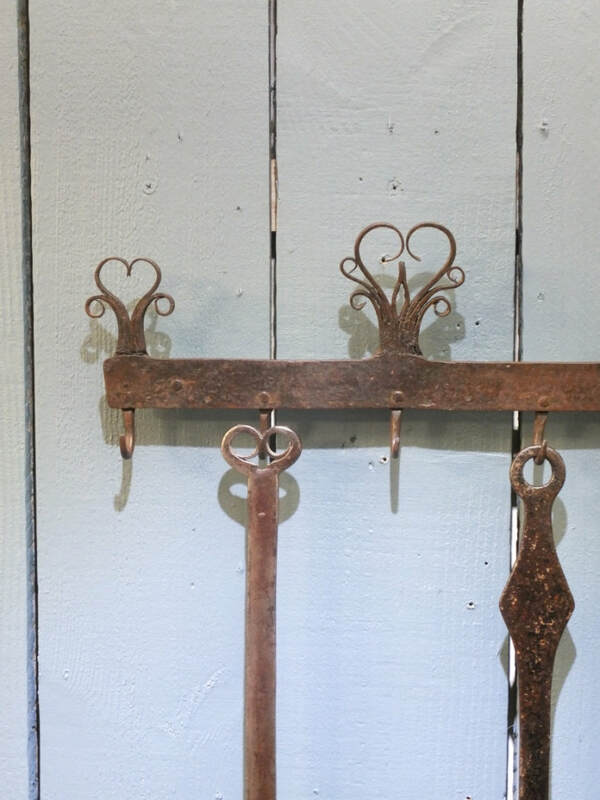 A beautifully forged Continental wall mounted game hook with scrolled and heart shaped finials. 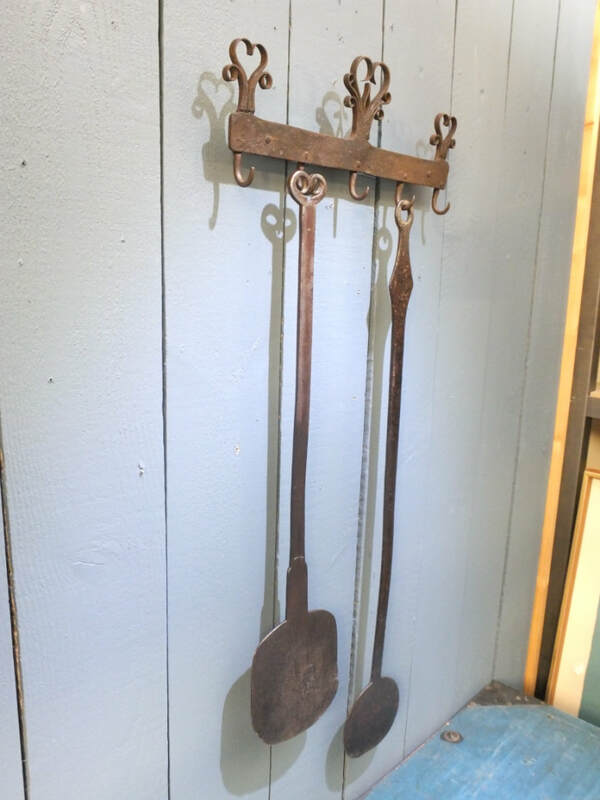 Early to mid 19th century. 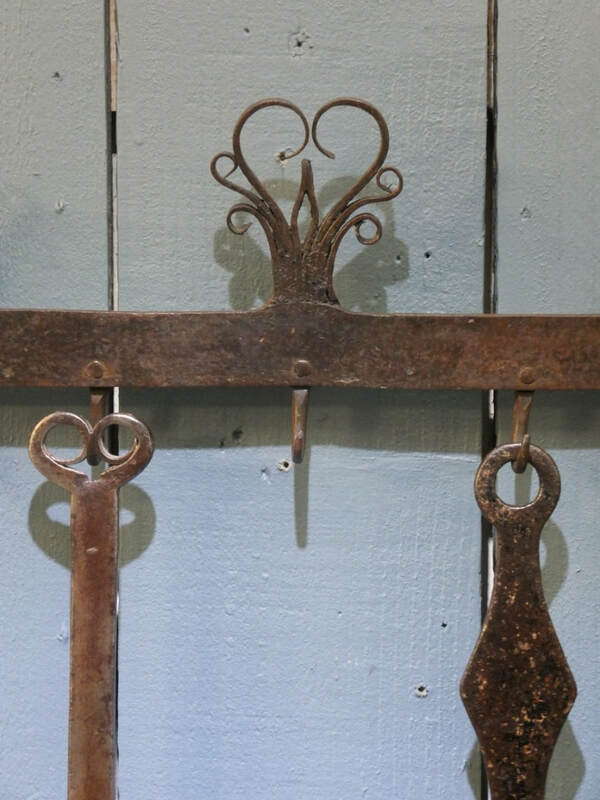 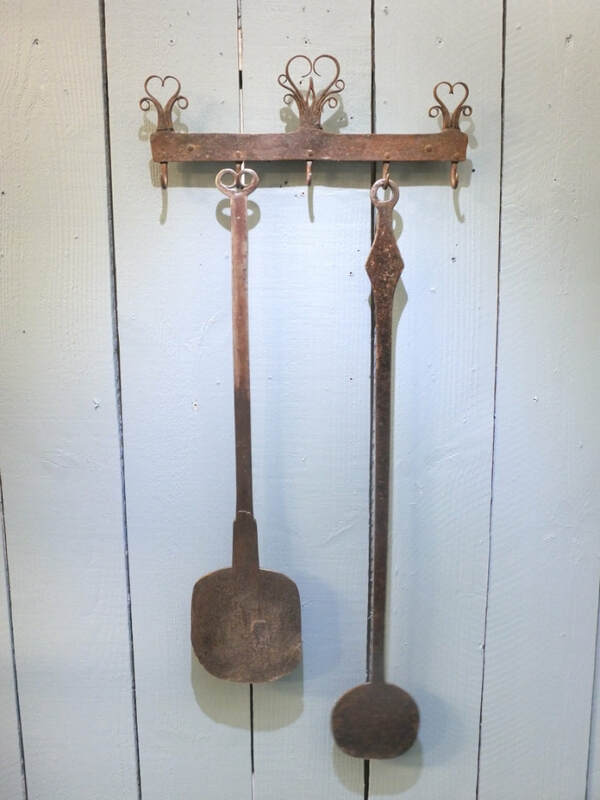 Also two late 18th century forged iron pie peels.